WRT’07 was the first instance of the Workshop on Refactoring Tools. 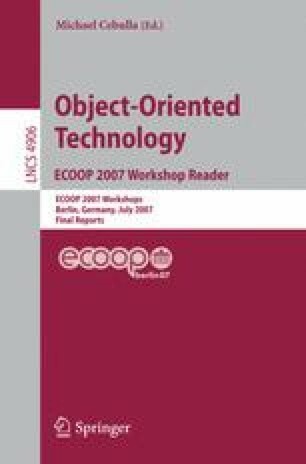 It was held in Berlin, Germany, on July 31st, in conjunction with ECOOP’07. The workshop brought together over 50 participants from both academia and industry. Participants include the lead developers of two widely used refactoring engines (Eclipse and NetBeans), researchers that work on refactoring tools and techniques, and others generally interested in refactoring. WRT’07 accepted 32 submissions, however, it was impossible to present all these submissions in one single day. Instead, in the morning session we started with a few technical presentations, followed by large group discussions around noon, a poster session and small group discussions in the afternoon. WRT’07 ended with a retrospective session and unanimous consensus to organize another session in the future.